This week's literary news roundup brings us to Vietnam and El Salvador. 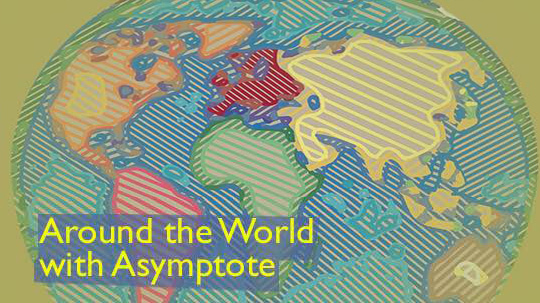 This week, the Asymptote team fills us in on updates from around the world, featuring literary prizes awarded in both Vietnam and El Salvador. Speaking of prizes… if you are a translator, why not submit to Close Approximations, Asymptote’s annual translation contest! A year’s subscription to the Asymptote Book Club as well as cash prizes and inclusion in the Winter 2019 issue are all up for grabs, so get writing! In the second half of July, Nguyen Ngoc Tu, one the most prominent living female Vietnamese writers, was awarded a 3,000 euro prize by Litprom (the Society for the Promotion of African, Asian, and Latin American Literature founded in Frankfurt in 1980) for her widely acclaimed collection of short stories Endlose Felder (The Endless Field), translated into German by Gunter Giesenfeld and Marianne Ngo. Nominees include other notable female writers from around the world: Nona Fernandez (Chile, featured in our Summer 2014 and Winter 2017 issues), Ayelet Gundar-Goshen (Israel, featured in our Summer 2018 issue), Han Kang (South Korea, Man Booker International prize laureate for The Vegetarian, translated by Deborah Smith), Ae-ran Kim (South Korea), Shenaz Patel (Mauritius), Shumona Sinha (India/France), Kim Thuy (Canada, of Vietnamese origin). We’re back with another week full of exciting, new developments in the world of literature! Our Editor-At-Large for Australia, Tiffany Tsao, updates us with a fresh report of prizes and publications and the inauguration of an exciting new festival. Julia Sherwood, Editor-At-Large for Slovakia, is filling us in on the latest exciting news in neighbouring Poland, involving prizes, authors and translators. Last but not least, our Editor-At-Large for Indonesia, Valent Mustamin, serves up a full platter of festivals, publications and awards. Congratulations to Josephine Wilson, author of the novel Extinctions, for winning the 2017 Miles Franklin Literary Award, Australia’s most prestigious literary prize. The results were announced early last month. The shortlist for this year’s Richell Prize for Emerging Writers was announced earlier this week. The five finalist entries are: Michelle Barraclough’s “As I Am”; Sam Coley’s “State Highway One”; Julie Keys’ “Triptych”; Miranda Debljakovich’s “Waiting for the Sun”; and Karen Wyld’s “Where the Fruit Falls.” The prize was launched in 2015 as a joint initiative by the Emerging Writers Festival and the Guardian Australia. The winner will be announced November 1.